For months since the peace deal on Yemen reached in Sweden last December, Al Houthis have been stalling to implement it. Under the deal Al Houthis agreed to a ceasefire and to pull out all their forces from the port city of Hodeida. However, they have not done so and apparently are not planning to cede control of the port city at all. On Wednesday the head of the rebels’ Supreme Revolutionary Committees, Al Houthi Mohammad Ali Al Houthi, said despite agreeing to withdraw their forces from the city they will remain in control. Rajeh Badi said at a press conference on Wednesday that such remarks risk igniting vicious fighting once again in Hodeida, the fourth-largest city in Yemen and a key entry point for international aid into the war-torn country. He also said they violate the tentative peace agreement reached by the two sides in Sweden late last year. The Saudi-led coalition fighting Iranian-backed Al Houthis in Yemen has repeatedly said that the militants have violated the Sweden deal — which calls for their withdrawal from the Hodeida port among other things — more than 970 times. Warnings issued by UAE Minister of State for Foreign Affairs Anwar Gargash over Al Houthi breaches have gone unheeded. International players and the United Nations must put the onus on Al Houthis for their repeated violations of the Sweden agreement. For anyone following the Yemen conflict, it is clear that Al Houthis do not respect any agreements. They often exploit peace talks and temporary truces to gain the time and space to re-arm and regroup after suffering military losses on the battlefield. The Yemeni government and Arab coalition have pointed out a pattern of Al Houthis engaging in talks only to break the terms later on. If they are not held to account then the prospects of a lasting peace deal will only diminish. The latest comments do not bode well for a peaceful resolution of the issue of Hodeida. The government maintains that Al Houthis use the port to smuggle in weapons from Iran to sustain their war efforts. 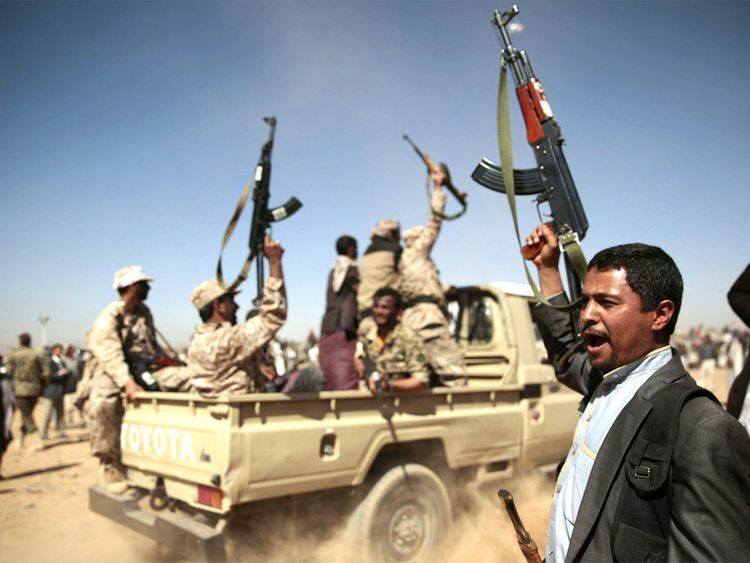 Government forces halted an offensive to wrest the city out of Al Houthi hands but they are entitled to resume their fight now that Al Houthis have made it clear they have no intention of implementing the Sweden deal.